There is no comparison between the 90s Bulls and the Warriors. The 90's Bulls went on a 3 championship run, while Warriors won a title, lost a title, and on the verge of winning yet another title with the help of somebody who they didn't need. You can't compare the two teams. Okay yes, back then we had a highly defensive squad/this season's Warriors are very similar, but overall considered we're the only team so far to do a 3peat in terms of winning a NBA title, there's no comparison. Had the Warriors won last season, and were on the verge of winning their 3rd title, then you could truly compare the two teams. All they are this season, is the Western version of the LeBron James' Miami Heat team. A whole bunch of 'stars', with people left wondering if the MVPS will be Curry/Durant in a tie (cause technically it's still Curry's team, despite how many points Durant has scored so far). Sam: Yes, here we go again. Down 0-3, we no longer have to debate LeBron and Michael. Well, that took a week to end. Where do the Warriors rank! Which changes after every game, of course. If Kyle Korver makes that corner three are the Warriors one of the greatest teams ever? The problem with trying to fit in these Warriors is they are so different from every great team in NBA history because of the way the rules have changed, a combination of almost no touching allowed on the perimeter and those same guards allowed to palm and carry the ball to make them more difficult to control. Fred Hoiberg was right, and Durant may be worse than Isaiah Thomas. My greatest list usually has the ’86 Celtics, ’87 Lakers, one of those early 60s Celtics teams with eight Hall of Famers, the ’70 Knicks for aesthetics more than talent, the ’72 Lakers, the ’67 76ers, the ’83 76ers, the ’01 Lakers, probably some Spurs team, maybe ’03 with four Hall of Famers and a fifth as Steve Kerr is headed there. And Mikan’s Lakers were pretty dominant as well, if not particularly athletic. Headed to 16-0 would be historic for the Warriors, reminiscent of that ’96 Bulls team that blew through the playoffs and was 3-0 in the Finals when their world was essentially finished and they rested. I’ve always said the Warriors even winning 73 games were no match for those ’96 Bulls because Jordan, Rodman and Pippen were too much defensively. But adding Durant changes everything. No way the Warriors are beating the Cavs in this series without Durant. Like the Michael/LeBron debate, it’s a matter of preference and opinion. Do you rank on opponent (LeBron and the Cavs are a legitimate one)? On talent? The Warriors now have two certain Hall of Famers in Curry and Durant. Perhaps Thompson. This three-year run with regular season wins defines dominance. You do have to say no team ever has shot the ball like the Warriors. They’re certainly in the conversation with Fo, Fo, Fo, Fo. Bad coaching also costs you playoff games. How is it that Tyron Lue doesn't call a time out with over 30 seconds left down by one? He stood there and watched Irving play hero ball for 15 seconds, wasting any chance at getting a two for one. As Michael and Kobe found out, you need a coach at the end of close games, someone you can trust. Not LeBron's caddy. Sam: Well, it is Lue’s first full season. David Blatt supposedly was yelling time out. Look, no offense, but you figured it out. If Kyrie Irving doesn’t see it, you’re probably not getting the drive anyway. They clearly were looking for the three and I’m guessing if Lue was opposed he’d have yelled something technical like, “Don’t shoot a three.” LeBron, as usual, got a lot of heat for passing up his drive at the end of Game 3 to pass to Korver. But Korver had been making shots, LeBron never has liked to go to the free throw line late, and he always makes that pass. He was making it a week ago when many were saying he might be better than Jordan. Remember, Irving did make that big shot last year to win Game 7. He’s a tough shot maker. The Warriors just made tougher shots, especially Durant. I thought the Cavs played a great game. They just aren’t good enough. I don’t fault coaching. I really don't understand Lebron James in this series. I get that the Cavs are overmatched, but Lebron has yet to score even 40 points in this series (just missed it by 1 point in game 3). Why isn't he being more aggressive? He should really be aiming for 45-50. And where are the post-ups? JR Smith and Iman Shumpert clearly don't have it, so why does Lebron keep giving them opportunities to prove as much (I can almost see why Phil let them go for a bag of chips and a second rounder). It seems like he's forcing his game of unselfish play and "smart" basketball at the expense of playing a different type of basketball for the sake of winning. I thought he finally understood this in the 2015 Finals. Triple doubles are nice, but constantly looking for an open Smith, Shumpert, or Jefferson isn't ideal when you're the best player in the world -- not exactly Paxson, Hodges, and Armstrong on the perimeter. Take the shot when in the paint instead of passing to an open Smith/Shumpert/Jefferson, make the shot or get fouled and go to the line (has Lebron ever been one to not get calls?). There will be misses that don't result in free throws, but 5' from the basket is still closer than 20. Sam: Yes, those great Cavs moves to fortify the bench, shooting with Frye and Korver, the point guard LeBron was screaming for in Deron Williams, have flopped. But I have to disagree. I actually think LeBron has been more aggressive in this series than he has been all season. The Warriors understand the way to play LeBron. Too many teams give too much help, which opens up the game for the Cavs and gets the reserves involved, which is LeBron’s game. LeBron saw quickly in Game 1 what they were up to, so he began barreling to the basket, scoring more inside than he had in any of the other series. The Warriors, unlike other teams, didn’t overreact. Of course, they can afford not to because they want you to get in a scoring game with them. It looked like the Cavs would win, anyway, that way in saying they weren’t changing their style for Game 3. But the Warriors keep coming at you with that amazing shooting. That Game 3 was over and then in a little over a minute the Warriors steal it. Love disappeared again in Game 3 and I expect this to be his last season with the Cavs. Can they get Andrew Wiggins back? Yes, the Cavs won a title, not that Love played a big part last year. And LeBron surely wanted that deal. But the Cavs sure could use someone like Wiggins now, athletic, young, defender. There’s just too many of those slow shooters on the Cavs now. 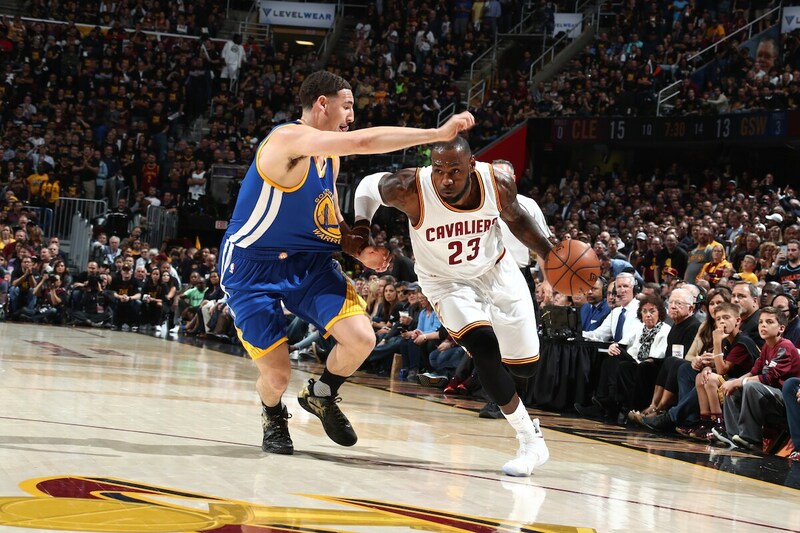 You could see how much LeBron was doing in the first halves to carry the Cavs. Even he gets tired; not as quickly as others, but he does now 14 years later. Why wouldn’t he? And he had to stay out there longer doing more—plus defending Durant—because his other Big 2 are poor defenders and the defenders like Shumpert and Thompson you can’t have out there against the Warriors because they can’t score. And J.R. Smith seems done. I thought LeBron was super aggressive, but even he couldn’t do it all. 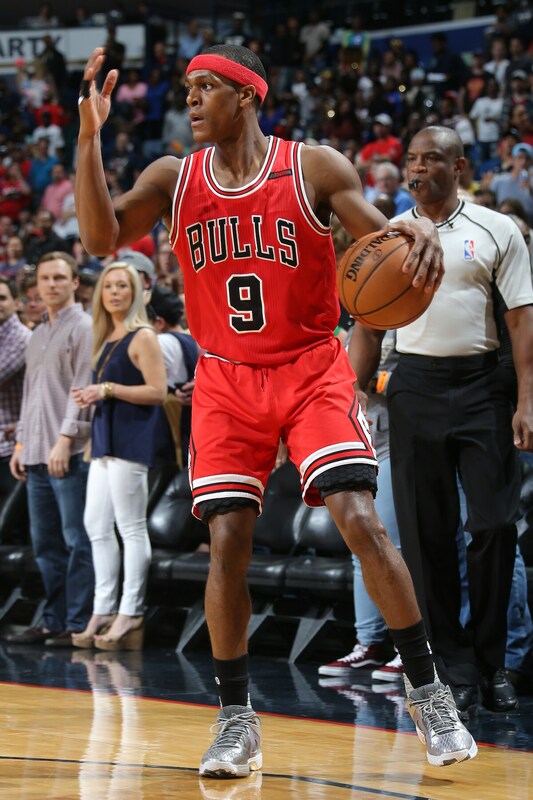 If you look down the road Jimmy's next contract would be a bad one for the Bulls - a supermax which takes him well into his 30s - considering the minutes Butler has played already and that players at his position not aging well. So how about, after recent reports that 76ers are open about trading their No. 3 pick, trading Butler for No. 3 (Josh Jackson) + a player from the 76ers (Saric) + letting Mirotic walk in free agency. Sam: Sounds OK, if not necessarily for the 76ers given Saric had a good start to his career. I don’t believe the 76ers are going to trade the pick. You want Okafor? Sure. No, not Jimmy in that sort of deal. I know Butler would like assurances he’ll be part of a long future with the Bulls, and I’m sure the Bulls would like to give it to him. But look what’s going on around the teams in Chicago, for example. Cubs. OK, that one’s not easy to duplicate, though you’d do whatever you could, including trading the Jordan statue, if you could put together a young, title winning core like that. But the White Sox gave it a run for a few years with a mix of veterans and free agents and it didn’t work and they traded their best player to potentially build something more lasting. Hardly an offense to Chris Sale. He just was the most valued. The Bears finally are starting with a brand new quarterback. Trend, anyone? It’s tougher to do in the NBA, but the way the Warriors are set up and LeBron declining some but still great, I wouldn’t be surprised to see several teams stepping back for two or three years to build something and give it a run then like the Cubs, White Sox, Bears; the Chicago community seems to be embracing those plans. But it’s not as easy as it seems, and you can make a huge misjudgment handing away an all-NBA player like Butler. Obviously, the Bulls, like all teams not in the Finals, have to consider changes even with their best players. At the same time, I don’t expect any of the teams at the top of the lottery to trade their picks. Though I wrote last week I don’t see the Lakers passing on Ball, the more you hear, the more teams seem to be worried about the family. It’s sort of like with the football player, Colin Kaepernick, who didn’t stand for the national anthem. It’s not like the owners are such patriots and so offended. It’s just you don’t need all that media around asking all those annoying and gotcha questions for someone who doesn’t substantially make your team much better. Like the Tim Tebow circus. It wasn’t worth it any more. Same with Johnny Manziel. The same may be coming with Ball’s family. And as one NBA guy noted, Ball had another potential lottery pick on his team and still couldn’t get to the Final Four. He’s obviously very good, but maybe he begins to slip and teams aren’t giving up top picks so easily with the uncertainty after apparently the No. 1 pick, likely Fultz. I expect Butler to be with the Bulls at the start of next season, and, hey, the Cavs don’t look all that unbeatable these days. What’s with the meeting with Butler & Bulls management? Is this management's way of saying, “We really want the build around you but if we are offered a deal we feel we can’t turn down, be open minded to a trade” According to the media, the meeting was to discuss the future direction for the team. Reports say both parties left very satisfied (whatever that means or amounts to). Sam: Indeed, whatever. I really don’t know what was discussed, though with no trade talk yet, no free agency talk yet and the Bulls coming off a second straight season around .500 without a playoff series win—and I’m not faulting Butler—but I don’t know how anyone could promise anything. Or why they would. It’s no offense to Butler, assuming he has been offended, which would be shortsighted. It’s actually more an honor; it’s not like you hear trade talk for anyone else on the Bulls. Scottie Pippen was involved in trade rumors often. Barkley, Kareem, Wilt, Oscar, Moses were traded. The Rockets took offers for a year for Hakeem in his prime. It’s the great trade off these days. Teams can trade you, but you also get to be a free agent and pick where you want to go. So teams have to protect themselves as well. If I were the Bulls, I’d have told Jimmy we plan to move forward putting pieces together to enhance you and the team, but we have to be flexible. If I were Jimmy, I’d have said, as he did with Jimmy Kimmel last week, he’d love to remain with the team, but when it’s contract time again I’ll have to consider my options. That sounds like everyone being satisfied. Somewhat. 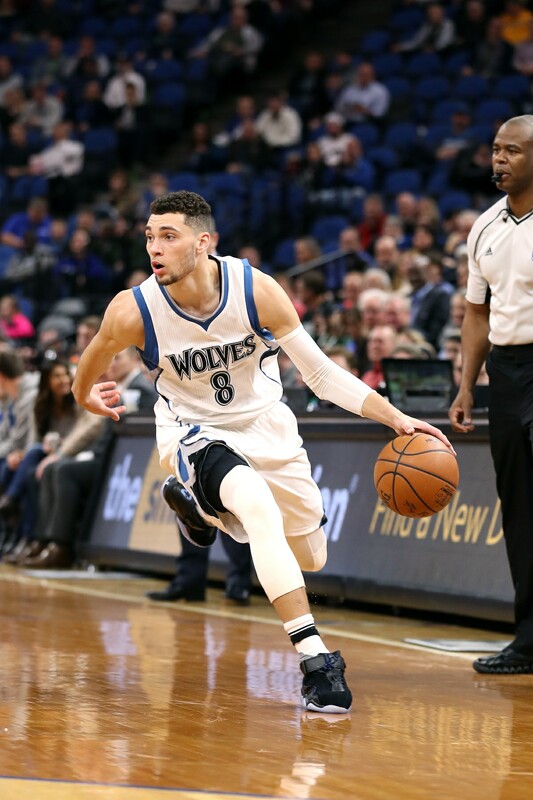 Would you trade Jimmy to Minnesota for Z LaVine and a swap of draft picks? Sam: Probably not. LaVine tore his ACL, and the Bulls had enough issues with that injury to an athletic guard. I always wince thinking about that injury. Minnesota with No. 7 will be a team to watch with a draft talent cutoff at four or five and an anxious coach/team president. No. 7 might not get you a great enough player. You’d probably need considerably more, and without LaVine the Timberwolves probably aren’t in position to do that. As fans, we often forget that winning a title often involves luck, which means lucking into a Lebron or Duncan or Curry. Even Curry didn't manifest to how he is today without Kerr. Plus as GMs you have to appease your boss - as in the owner. Trading a high pick in a "surefire" draft, trading / letting a popular player go, etc. will not endear you to the owner - even if you're right in the long run. After all, acting against popular demands often result in mock and ridicule - and you may not get to keep your job because of it. Even if you're proven right down the road, you will not be able to enjoy the fruit of your labor - the new GM will. Also is it blasphemous to say that (unfortunately) the Bucks will be better than us in the near future based on their current core? Sam: You hit he salient point; it’s not easy; almost like winning in the casino. More luck than skill. Though the owner isn’t as much the issue with the Bulls. Not that the Reinsdorfs are soft touches, but they have patience. It’s often mistaken as being overly loyal. Many of the new owners these days coming out of the financial markets come in with a fantasy sports mentality that leads to a lot of churning. My sense with the Bulls is less the owner reacting to the last thing he saw than being a partner in the decision going forward. And then not blaming someone else if it didn’t work out because there was bad luck. Everyone would like to have superiors like that. The larger problem is finding that transcendent star when there are just maybe five in the game. With Harrison Barnes instead of Durant, I don’t think the Warriors are where they are; or ahead. But you can put enough pieces together and with some luck—like the Mavs a few years back, the Pistons in 2004—and some bad luck to the other guys make a bit of a run and break though. That’s not out of the question for the Bulls now with the East as open as it seems. I’d have said sure with the Bucks, but again with the ACL to Jabari Parker, they got unlucky and are back with the Bulls and about eight other East teams. I checked back in with a dozen mock drafts today. The consensus picks for the Bulls are Jarrett Allen & Donovan Mitchell, with 3 each. Nobody was picked twice. Others mentioned were John Collins (Wake Forest), Justin Jackson (UNC), Terrance Ferguson (Aus. ), Juwan Evans (OK. St.), OG Anunoby (Ind.) & Anzejs Pasecniks. When you first mentioned Donovan Mitchell, I wrote, "Not sure how I feel about a 6’1” shooting guard (Donovan Mitchell). I think we already have one (Canaan). I have visions of guys 6’4” and up shooting many 3’s right over him.” I’ve learned since then that he is 6’3” and very athletic, also did very well filling in at the point for six games last season. Shooting stats are mediocre, but he is supposedly improving there. Sounds better than he did to me at first. Jarrett Allen strikes me as a project and a gamble. He’s long & athletic with huge hands. But I’ve heard there are questions about his motor, his D & his IQ. Only 19, so there’s room for growth, but no guarantee he has the brains and the drive to improve. If he DOES though… well, that’s a helluva a body. Ferguson is another gamble. The one thing he can do right now is spot up (39% from the arc), and his motor looks fine. But he’s very young and needs to learn a lot. Both he and Allen need to add at least 20 lbs, of course. Sam: Bless you. You’re right, it’s not shaping up as a loaded draft when you get to No. 16. I’ve gotten the sense lately Donovan has moved up and will be gone by 16. GMs also go by the last thing they saw and everyone is watching the Warriors, which means the perimeter athletes and shooters who also can defend likely will be the first to go. It looks like a bunch of young big guys are falling to the middle of the first round, Leaf, Giles, Collins, Patton, Allen. The Warriors have done it with scrap heap big men, but no one else has Durant, Curry and Thompson. There are other ways to play. Rebounding doesn’t equal rings anymore—good Riley never copyrighted that one—but it can help win games. The Bulls big guys are free agents, so there’s uncertainty. They should be able to use one of those guys, though it limits the excitement quotient. I might take a shot at Ferguson also. Seems like he can shoot. Sam: It’s also that time as the trade proposals start to come in. We know I used to do a lot of these, but you can’t keep coming up with ones to cripple every team but the Bulls. Of course, I do think the Knicks would be OK with it. Next! Who is LBJ going to beg to come to the Cavs via free agency this summer at a vast discount? Does he beg Gordon Hayward? Chris Paul? Or will LBJ be the new 6th man for the Warriors? Sam: Like 2010, Cleveland again is not such an appealing destination. And now with LeBron having delivered his title to Cleveland, maybe he takes off again. L.A. for more movies? The Lakers get Paul George, pick up another hot young players. Hey, who knows. Durant has bad feet and Curry had very bad ankles. The Warriors do have a bunch of free agents. The rumors are Durant will take a bit less (though still at least $30 million) so they can keep Iguodala and Livingston. Maybe they let Iguodala go as he’s slowed a lot, but they have been loyal. Curry will get the $200 mil super max after finishing a bargain $11 million annual deal he was anxious to get back then because his career was in danger with persistent ankle problems and the Warriors trying to unload him on Milwaukee instead of Monta Ellis. Yes, things can change quickly and history and greatness only acknowledges the ones who finish healthy. Maybe this is my continuing effort to help Phil, but why not Love for Carmelo? I heard Carmelo also loves pierogis, a Cleveland favorite. Does the new CBA allow for amnesties as was the case with its predecessor? Can you please explain the delay in announcing the Bulls picking up the Rondo option? By waiting until after the June 22nd draft they would be implying that they could draft a point guard that would make Rondo unnecessary. If they feel he has trade value don’t they need to exercise the option? Pax said it was almost certain they would pick up the option. It’s nice to retain your flexibility and options but Wade or not, why wait? Sam: I doubt there's an issue, but no one does anything in the NBA until the last minute because they always fear two things: If they did it too soon and missed out on Durant saying he wanted to be a Bull, it costs them their job. OK, one really big thing, not that Durant is going anywhere. But if the Cavs end up losing badly, who knows what LeBron will have them do. Already, you get the feeling gm David Griffin a year removed from a title is on shaky ground. So keep your options open as long as you can. After all, it is the Bulls option. Rondo’s feelings won’t be hurt. He’s tough. Oh, yeah; you never do anything until you have to in sports management. Makes it look like you are thinking. And then what if you do make a big move and Wade decides LeBron needs his help after all. Do you then keep Rondo? I don’t expect all that to occur, but in the Bulls situation you don’t want to get too locked in to anything at this point. Portland is said to be shopping all 3 1st rounders; want to shed some bad salaries with them (Leonard/Harkless/Crabbe). So we take 15 and Harkless for a future pick and someone like Payne. We get a shooter athlete in Harkless and have 15 and 16 to get a PG and an athletic big. Sam: Despite what everyone may think, the Bulls have not given up on Payne. They liked him in his draft and he walked into an untenable situation on the team after the deadline. So I figure they want to give him another look. Harkless can’t shoot and the picks are nothing special. Plus, who wants those contracts. Next! LeBron will be 33 years old next season as will Deron Williams. Richard Jefferson will be 37 as will Kyle Korver. Channing Frye will be 35. J.R. Smith will be 32. Kevin Love 29, Tristan Thompson 26, and Kyrie Irving 26. James Jones 36. Shumpert 27. Derrick Williams 27. Do you see these teams continue to add pieces like a Korver, R.J., Andrew Bogut, Deron Williams to their teams in order to deepen their roster? Also are you in favor of these superteams? I am not. Also, rumor has it Dwight Howard is looking to prolong his career by expanding his range to the three point line. Thoughts? Sam: This is where the Cavs made the mistake, though they did get the title, so there should be a pass. But life and basketball are not fair, as we know. The Cavs went with the notion to surround LeBron with veterans. But he’s the wily veteran and he needs some youth and athleticism. That’s where the Warriors are running over them. I understand LeBron probably ordered that deal of the No. 1 pick when LeBron returned from Miami. Love has mostly been good in these playoffs, but he contributed little to the title last year and the Cavs sure need some athletic defense. But with that crazy league high payroll and luxury tax it’s tough to change things. Could LeBron opt out? After all, he delivered the title. His debt to Cleveland is settled. L.A. with Chris Paul and Griffin? Bye bye DeAndre. Get some of that big State Farm money, too? I know I keep mentioning L.A., but where’s he going? Oklahoma City? Nah, we don’t want him anymore. Too old. OK, just kidding. How about side by side statues with Jordan? As for Howard, yes, I’m letting him shoot.